Several weeks ago my cousin/BFF asked me what I was doing for New Year's Eve and I quickly replied, "Nothing! I just want to forget 2012 ever happened!" I'm sure my answer surprised her. First of all, New Year's Eve is my favorite holiday. I love it more than Valentine's Day, Fourth of July, and even my own birthday. And, of course, I like it more than Christmas. The idea of Javacia Harris Bowser not celebrating New Year's Eve is unfathomable. She was also probably shocked because she was most likely thinking, "Has 2012 really been that bad?" 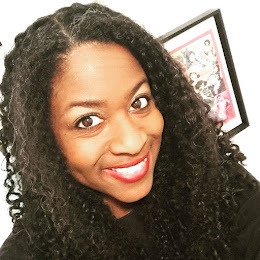 The year was tough and filled with disappointments I didn't make the progress I had aspired to regarding my finances, my writing career or my fitness goals. And worse of all, I was not a very good wife to my sweet husband this year. But my melodramatic response to my cousin was a rather bratty one as it discounted all the good things that happened in 2012. 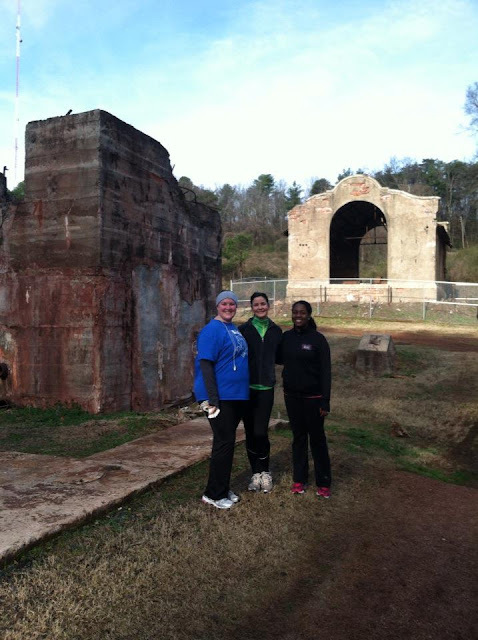 And those things were on my mind this morning when I started my day doing the Resolution Run (a 3, 5, or 10 mile walk/run through the trails of Red Mountain Park) with some ladies from See Jane Write. I signed up for this run on a whim last night after a blogging buddy asked me to do so. This go-with-the-flow spirit is exactly the kind of attitude I want to have in 2013. If I hadn't gone on this run this morning I would have missed out on so much fun and fellowship. And I even won a door prize -- a zip lining adventure for two at Red Mountain Park! As I've mentioned before, I also want 2013 to be a year of gratitude. So let's kick off that now with a list of some of the things I'm grateful for as I look back over 2012. 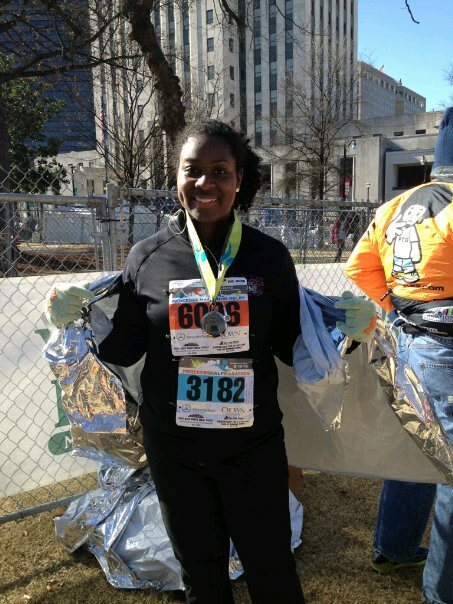 I completed my first half-marathon, without dying or passing out. This photograph was taken shortly after I crossed the finished line. Read my post "Why I Run" here. I started freelancing for USA Today and Magic City Post. I had the chance to interview Nina Garcia and write a profile on her for Hispanic Executive magazine. I feel I have finally hit my stride in my teaching career. 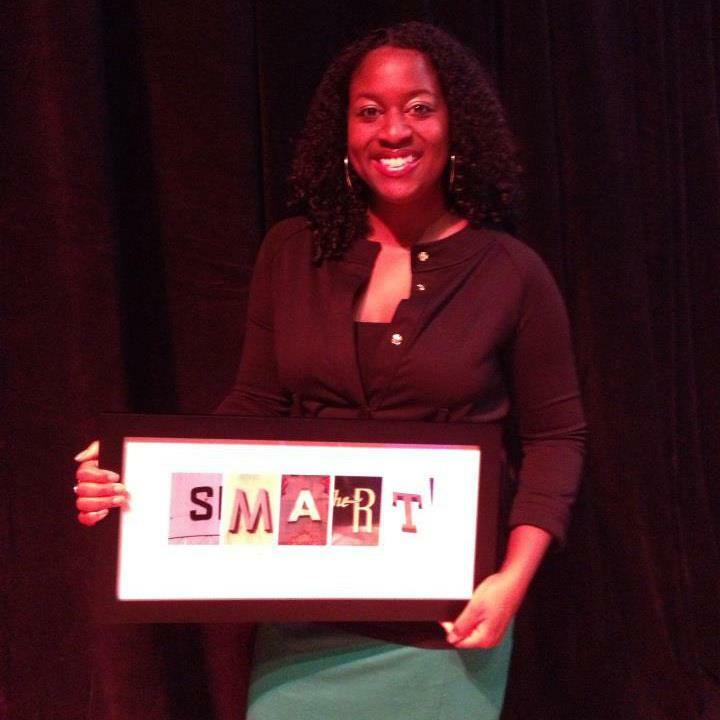 My husband got a great new job as a community engagement specialist for AL.com. Hubs and I had a great time this fall when we took a trip to Chicago, a trip that, ironically, made me fall in love with Birmingham. The Women's Fund of Greater Birmingham recognized me as one of the city's smartest, most innovative women thanks to my work with See Jane Write. See Jane Write grew in ways that I never expected and through this group other local women writers and I started building amazing community. 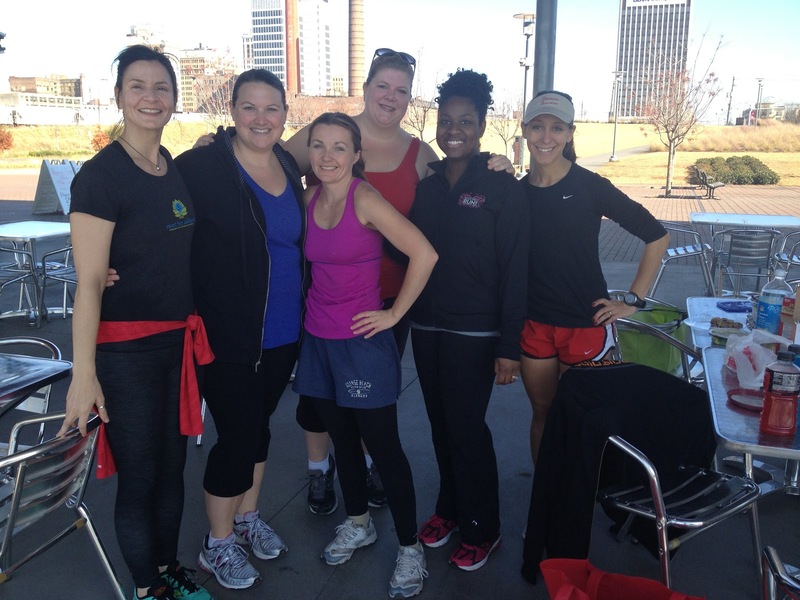 A few of the ladies of See Jane Write and I before sitting down for a post-jog picnic at Railroad Park. Read more about this awesome day here. I found the courage to let go of a blogging project that wasn't working to focus on The Writeous Babe Project. I found incredible blogs like The Very Worst Missionary and She Reads Truth. I continued to build friendships with some of the wonderful women I've met at my church. 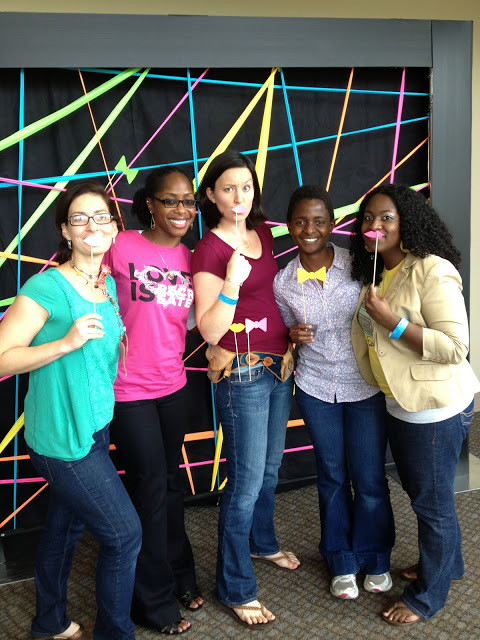 My Church of the Highlands girls and I at this year's ReCreate Women's Conference. Read highlights from this year's conference here. And I am most thankful for the breakthrough and epiphanies I had at this fall's LIFE (Living Every Day in Freedom) Retreat. There I realized how much I fear rejection and how much that was negatively affecting all my relationships and even my creativity. During the LIFE Retreat I felt God's love and grace in a way I never have before and I learned the importance of finding confidence not through how others see me but through who I am in God. Holding on to this idea is all I need to make 2013 my best year yet! And an even better year for you in 2013! Honestly, I forgot about some of this stuff. I had to look through pictures and old blog posts. I love that you're embracing spontaneity (something I need to do, too!) and that you found so much good in 2012 when your first reaction was that it wasn't that great! I always go to the negative first, and then step back and think, "Wow, I'm actually really blessed!" It's something I want to work on: Not thinking of the negative first! I have been so inspired by you this year and I think 2013 is going to be as good for you, and even better, than 2012 was!! I've had a few setbacks this year as well, but it's those horrible, unbearable times that makes us appreciate the good times so much more. I know it does for me. And I'm sure after compiling this list, you realized 2012 wasn't all that bad. You've accomplished so much. Pretty great post. 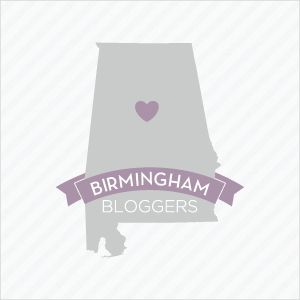 I just stumbled upon your blog and wanted to mention that I have truly loved browsing your weblog posts. After all I will be subscribing for your feed and I'm hoping you write once more soon! Could I Learn to Love Christmas?